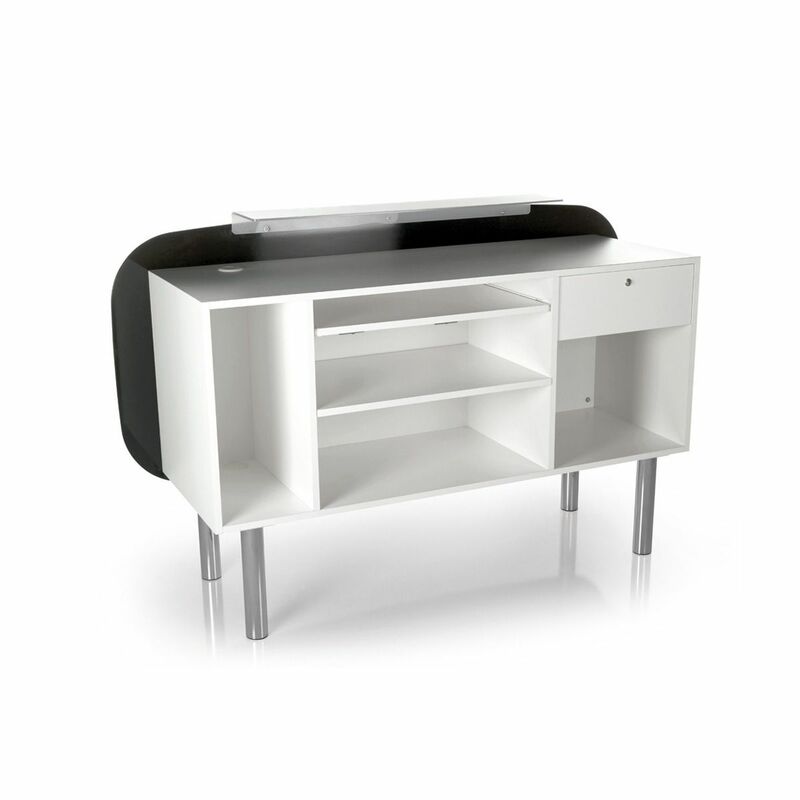 The polyplan 170 is a reception desk with a front panel in shaped and varnished pre-finished melamine. 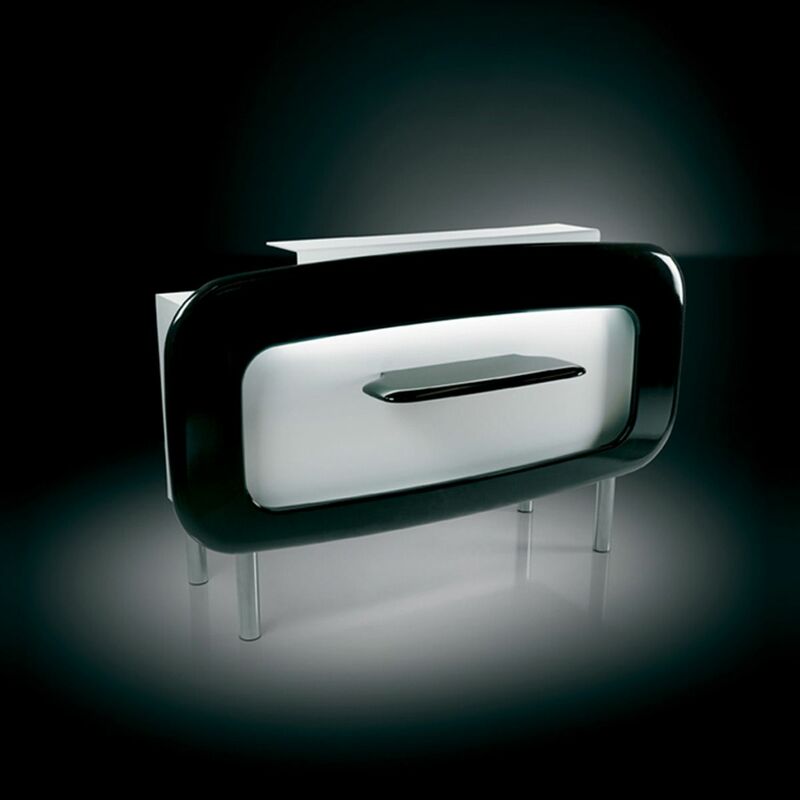 The structure comes with shelves, a door, and a drawer with a key. The feet are in polished aluminum. Made in Italy.